Sukey Molloy is a singer/songwriter/performer/educator/felt animator/and award winning artist of children's music and video. 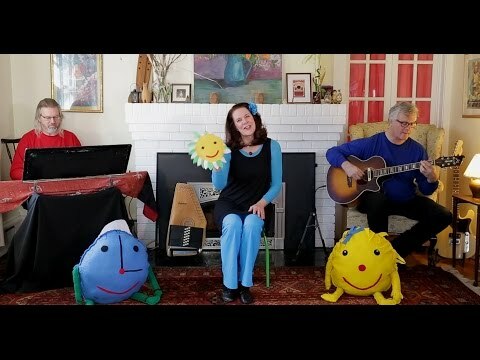 Sukey's music, videos and performances offer that just right mix of accessible lyrics, playful themes, and rhythmic melodies, created specifically for children birth to age 5. Sukey's House! is Sukey's latest DVD release featuring 18 of her award winning songs, and filmed in her living room with her band, Sukey Molloy & Friends! Sukey's work has been honored with Parents' Choice, NAPPA, Children's Music Web, Preferred Choice, Creative Child, and Mom's Choice Awards. Visit Sukey at www.sukeymolloy.com, or catch her on YouTube, Happy Kids (Roku), and Kidobi!